When you boil it down, what Democrats on the House Judiciary Committee are subpoenaing vis a vis Special Counsel Robert Mueller’s report and what President Donald Trump is calling to be declassified from the Justice Department’s three-year investigation first into the Trump campaign and then the transition and administration have a few things in common. Pausing for a moment, it is not up to the Justice Department to perform the functions of the House Judiciary Committee. If Chairman Jerry Nadler (D-N.Y.) wants to call witnesses, call witnesses. Indeed, after this whole ordeal, we all deserve to know why the Justice Department and intelligence agencies were carrying on an investigation for three years into a crime that we now know was never committed. No arguments there. 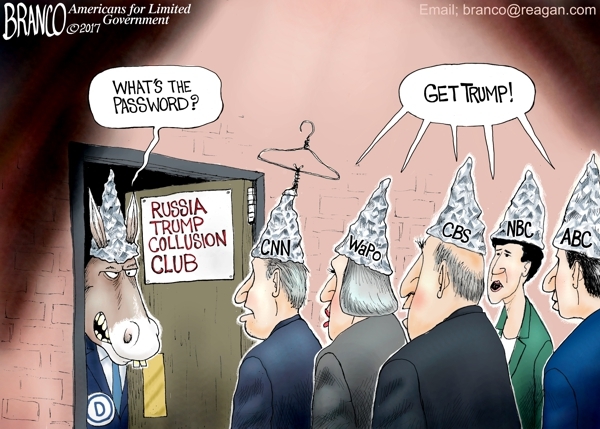 For starters, since the dossier by former British spy Christopher Steele paid for by the Democratic National Committee (DNC) and the Hillary Clinton campaign was one of the primary pieces of evidence used by the Justice Department to obtain Foreign Intelligence Surveillance Act (FISA) warrants against the Trump campaign, Mueller should have investigated the allegations in the dossier — and, critically, the sources of those allegations. Steele said the sources were Russian but they are not named: Source A was a “former top Russian intelligence officer”; Source B was a “senior Russian Foreign Ministry figure”; Source C was a “senior Russian financial official”; Source D was a “close associate of Trump” (golden showers source); Source E was an “ethnic Russian close associate” of Trump (golden showers source); Source F was a “female staffer of the hotel”; and source G was a “senior Kremlin official”. If so, assuming Steele or his sources did not make it up, it was Russian disinformation, and that should be in the Mueller report, since the scope of the investigation was Russian interference in the election. Taken at face value, the dossier’s allegations have Russia revealing its own operation to interfere in the 2016 elections and simultaneously creating the false narrative that Trump was a part of it. And then the FBI acted on it — which may have been the most consequential interference in our political processes. Russia being behind the dossier would also undermine the Jan. 2017 assessment that Russia was actually trying to help Trump win, since in that case they would have been attempting to get him in trouble with the FBI and undermine him. Either way, all evidence and documents that Mueller has should cover the scope of the dossier’s sources and tell us if the FBI was knowingly acting on Russian disinformation or DNC fabrications. Neither really reflects well on the Justice Department, so let it all out there. Those documents and evidence will also cover the case of George Papadopoulos, who was convicted for lying to investigators, but per the quoted part of Mueller’s report and Papadopoulos own criminal case, did not include Papadopoulos “conspir[ing] or coordinat[ing] with the Russian government in its election interference activities.” Instead, Papadopoulos was introduced to Joseph Mifsud, who Papadopoulos now believes to be connected to Western intelligence, not Russian intelligence, to supposedly get emails from Hillary Clinton’s email server from individuals purporting to be Russians. No emails were ever delivered, and Papadopoulos now says he thinks the whole thing was a sting operation — a set up. So, all the documents and evidence in Mueller’s possession should reveal the truth. Was Papadopoulos really being approached by Russians, or somebody else? Let’s find out. There were also several FISA warrants that were taken out against the Trump campaign, transition and administration. The Obama administration was spying on the opposition party, the Trump campaign, in an election year, and launching investigations into them for crimes we now know were never committed. All of the evidence and documents should certainly include internal memos revealing why the surveillance kept getting renewed when now we know there was no conspiracy with Russia to be discovered. When did the Justice Department realize the dossier could not be corroborated? Why didn’t the investigation stop then? Ultimately, all the evidence and documents should tell us how many individuals who had nothing to with Russia were wrongly and probably illegally subjected to federal surveillance. This was one of the greatest abuses of power in American history — and the American people deserve to know how this could ever happen here. And more importantly, we need to know so that this never happens again.